Our Biscayne Point cleaning services aim to give you a professional cleaning job that will perfectly suit your personal needs. At Spotless Cleaning Services, we’re able to professionally clean any type of property, from private residences to large office buildings, and our scheduling is very flexible. So whether you need recurring cleanings or just for a one-time deep-clean, we’ll be there. Our cleaning products all meet local health regulations. We strive to be safe and eco-friendly with all our products and procedures. If any of your family have special considerations, such as allergies, we have additional products to make sure they aren’t affected. When you call to make an appointment, let us know and we’ll add or modify any services to make sure the job we do is right for you. A clean home is important all of us, but sometimes things can prevent us having the time or energy to make sure we clean our homes for ourselves. Many of us too busy and can’t find the time, or too stressed to make the time. Some of us may have illnesses or mobility issues that keep us from keeping our homes as clean as we’d like. But our Biscayne Point housekeepers know how important it is to have a clean home to relax in, and that’s why we make sure we’re there when you need us. Whether you just need a one-time cleaning to jump start or organize your home, or you need a housekeeper there monthly or weekly to keep up with it, we’re here to help you get a handle on it. 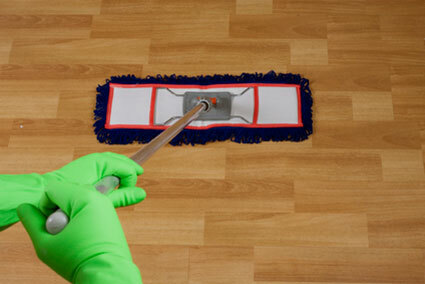 Our Biscayne Housekeepers will take care of everything from dusting down to cleaning your baseboards and walls. So whatever your specific needs, don’t hesitate to call for details on how we can help. Trying to rent or sell a property? We can help! Moving out and wish to avoid any fines? We can help! Whether your a property owner or renter, Spotless Cleaning Services is ready to save you time and money. Let us reinvigorate your property for sale, or just between renters, and get someone in quicker. Before you leave a property, let us give it a deep-clean so that you’re not fined for things you overlooked. Our Biscayne Point cleaning service also helps with vacation rentals frequently, especially during the summer months. Maximize the amount of time you can spend renting out your vacation property by letting us minimize the amount of time you spend cleaning between renters. 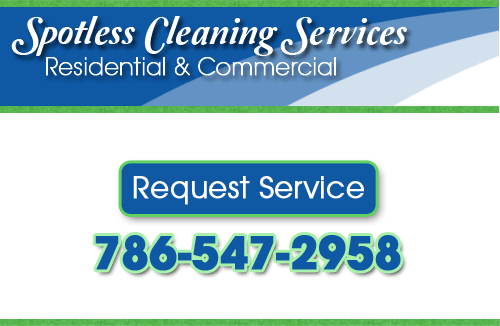 Spotless Cleaning Services specializes in cleaning all types of commercial buildings. Our cleaning products are industrial strength and our techniques are top-of-the-line. Whenever you need it, we’ll be ready to make sure your commercial property is as clean as every work-space needs to be. We can also handle any post-construction clean-ups you may need. So if you’ve finished remodeling, let us handle the clean-up. We can clean debris, paper trash, and building material. We’ll also deep-clean any floors or surfaces. Looking for professional maid services in the Biscayne Point, FL area? We’ve got you covered! Call Spotless Cleaning Services today at 786-547-2958, or complete our online request form.